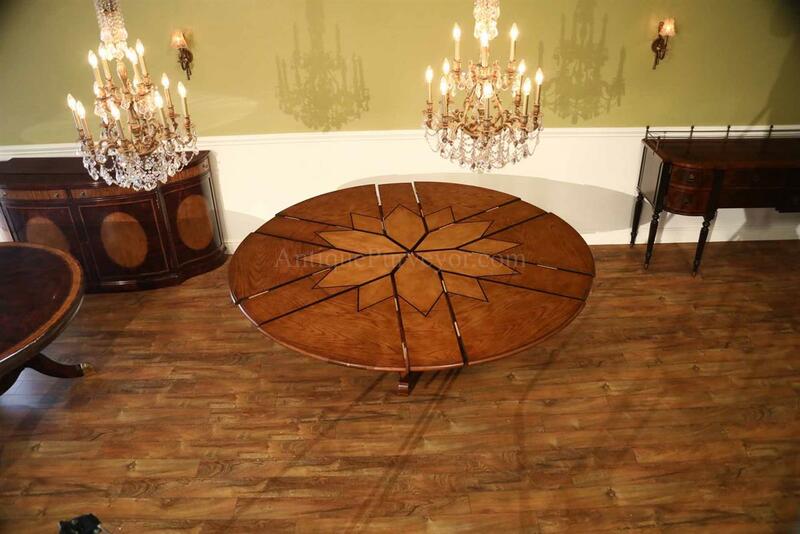 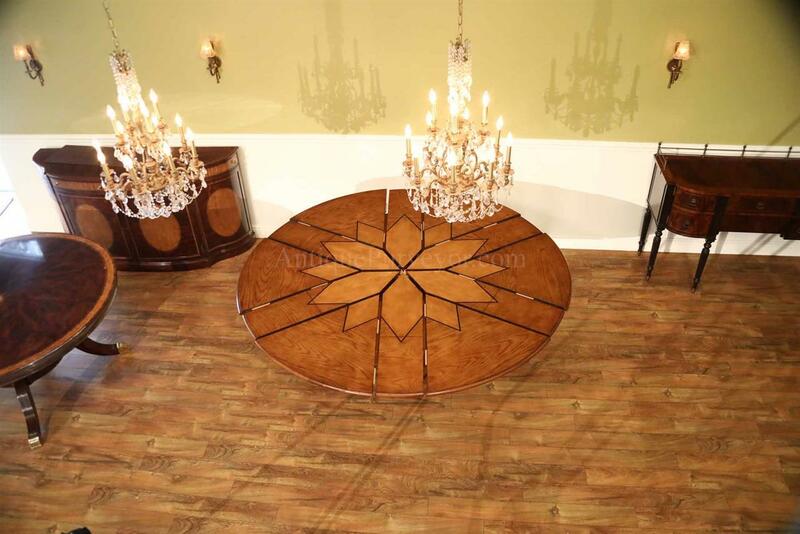 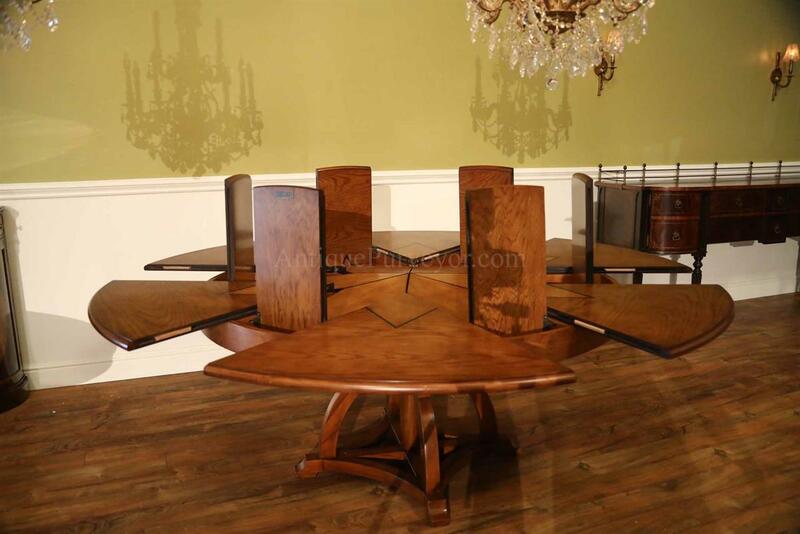 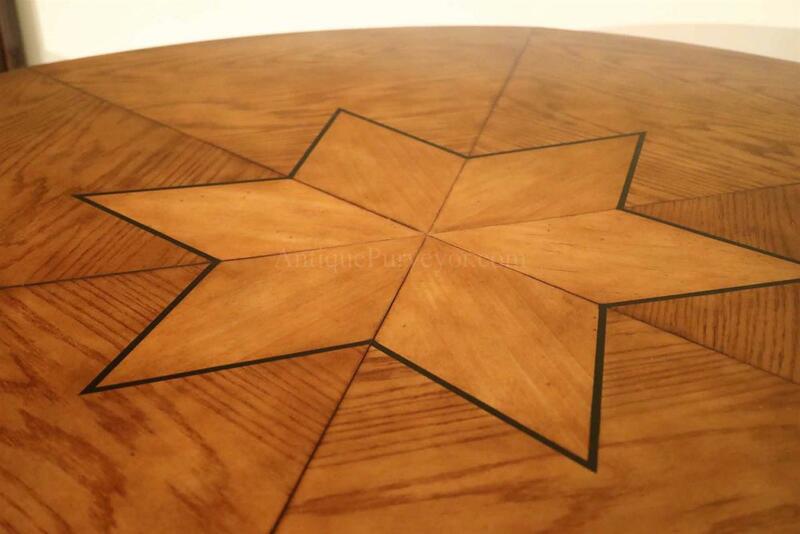 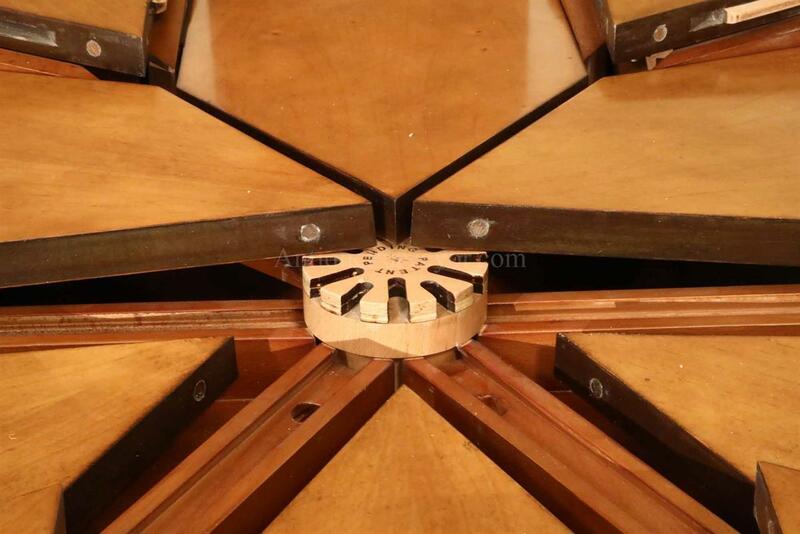 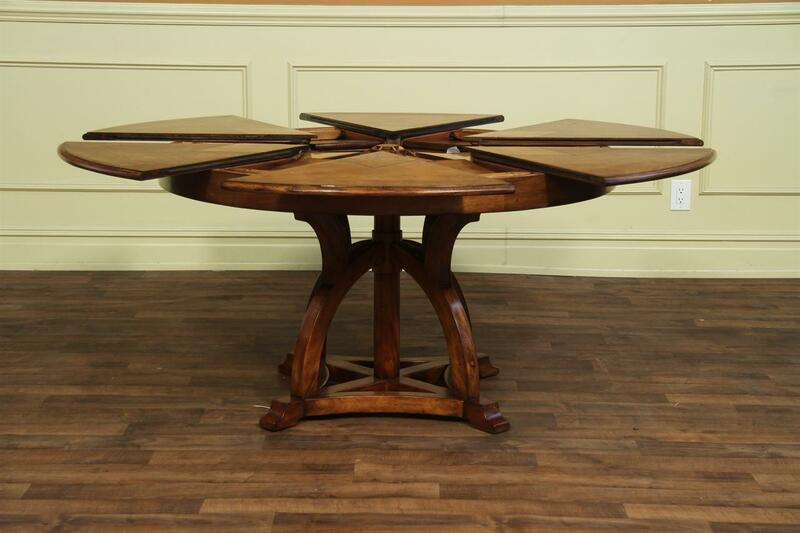 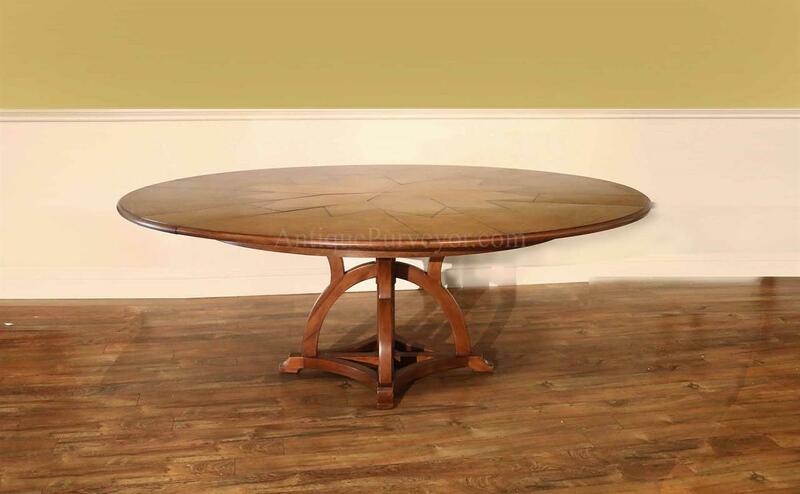 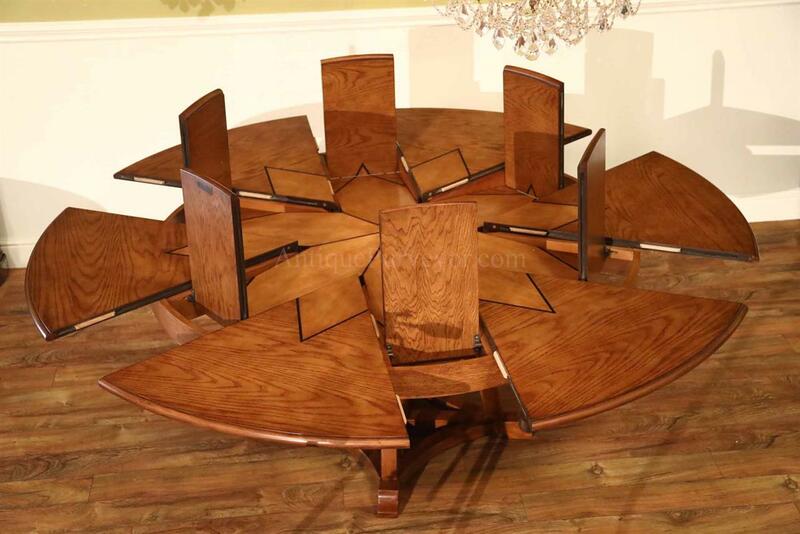 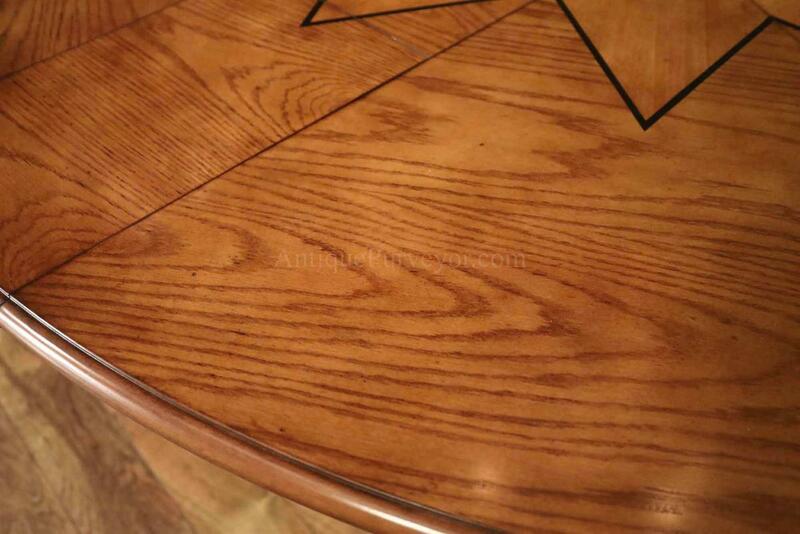 Description: Solid walnut expandable round dining table can be used from 64 inches round to 84 inches round. 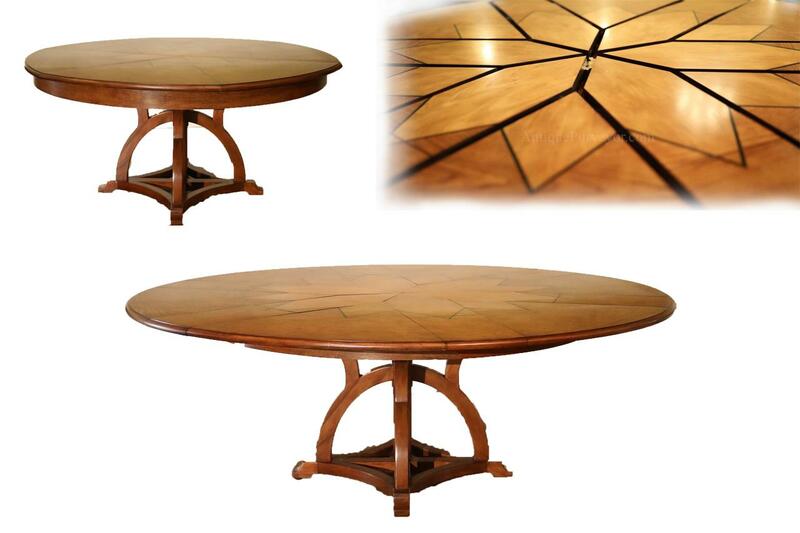 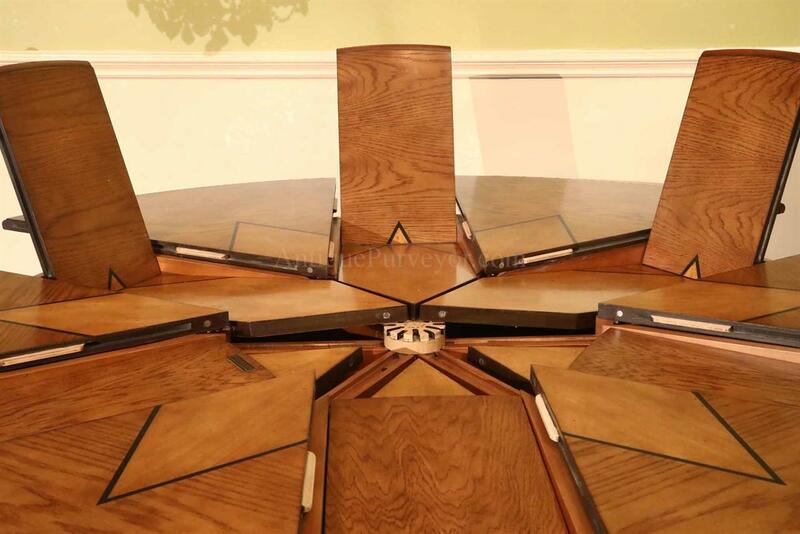 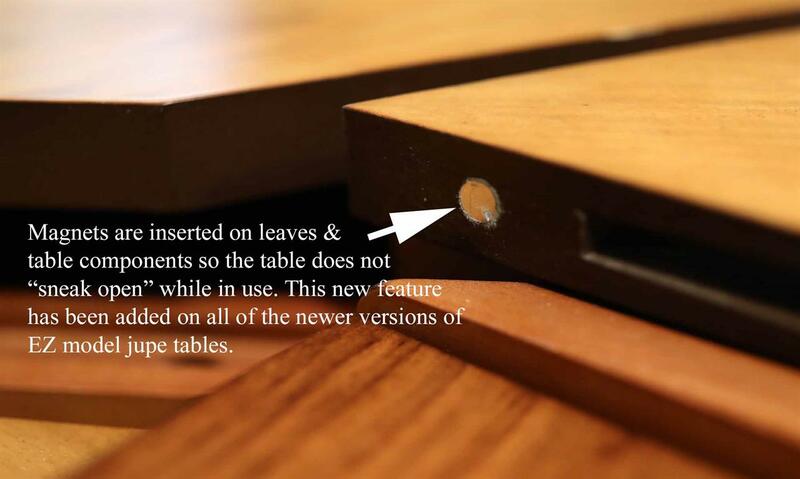 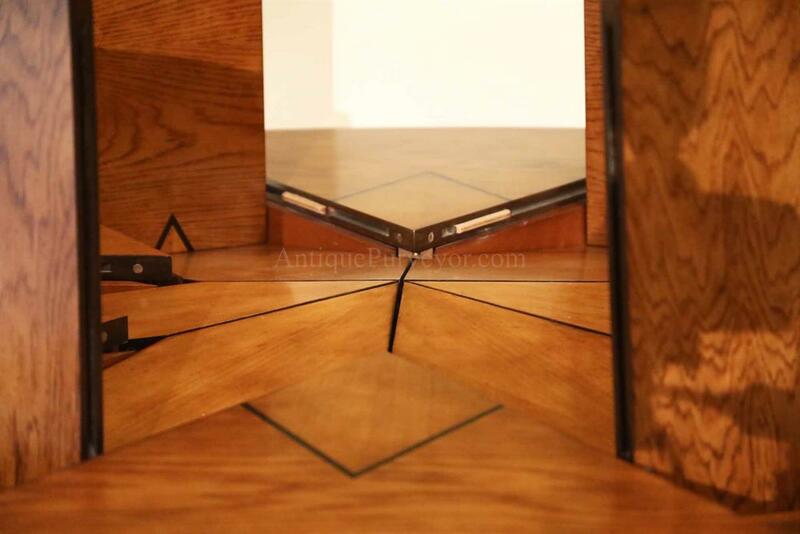 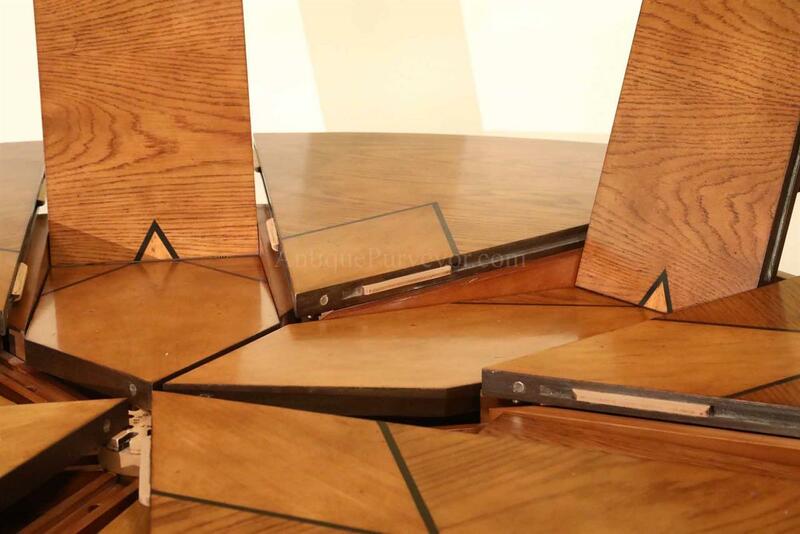 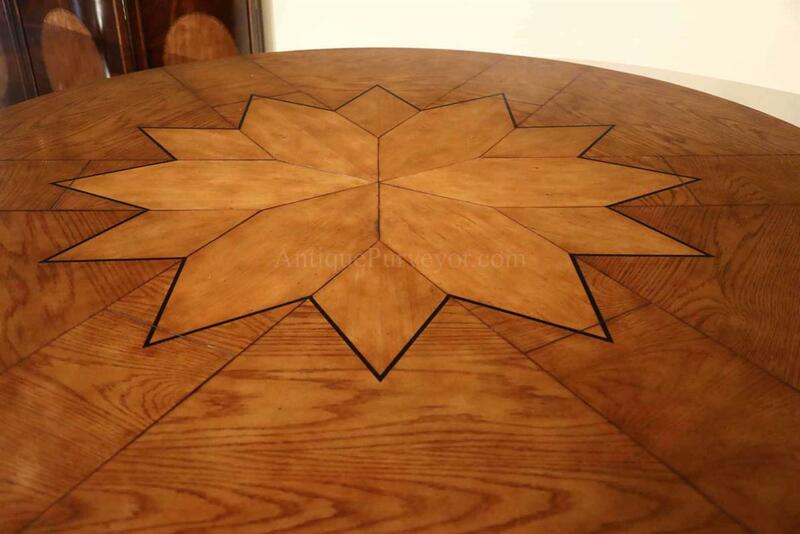 High end round dining table with smooth and simple to use self-storing leaves. 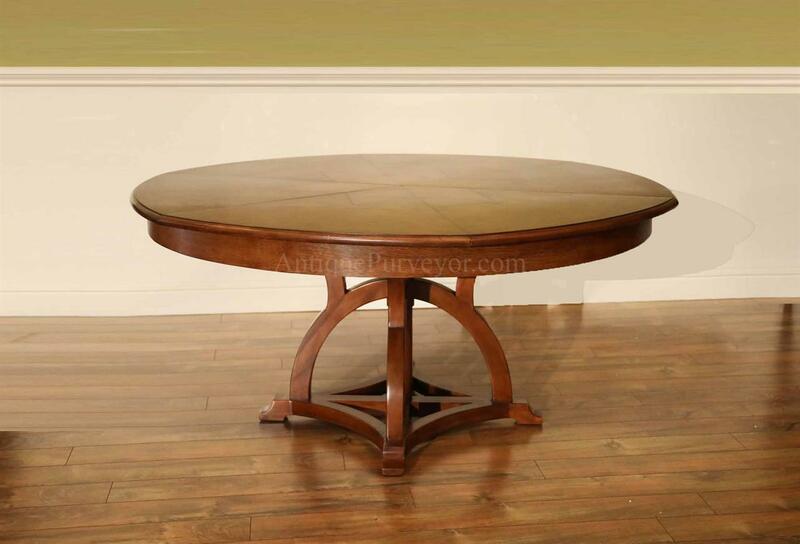 Modernized pedestal design which fits perfectly in a casual dining area or mission style space. 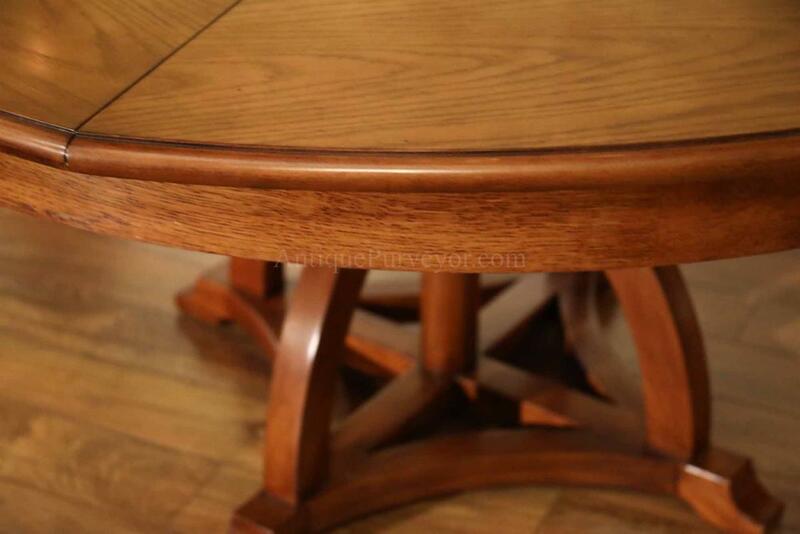 Warm walnut color will coordinate with most shades of oak for those who want to mix it up with other mission style furniture.